Onion, Garlic, Honey, Lemon, Watercress, Ochro (okra), Dates, Fig, Oranges, Yogurt, Vegetables, Vitamin A, Vitamin B and Vitamin C.
Lemon Juice and Honey is an age old, effective cure for coughs! 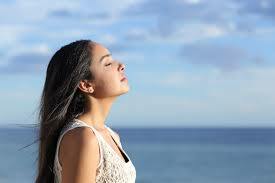 While it is good to know about the foods that help and heal the respiratory system, it is even more important to know which foods to avoid or reduce in your diet since these foods will aggravate you cough, which is the most common symptom that one has a respiratory problem or disease, and whatever respiratory problem you are suffering with. These respiratory system aggravators include: Salt, Dairy Products, Alcoholic Beverages, Fish that isn’t fresh, Eggs, Cured Cheeses, Nuts, Meat and Spices. What is the Respiratory System? In human beings, the respiratory system (or ventilatory system) is composed of the nose, mouth, airways (pharynx, larynx, trachea), lungs, diaphragm and the respiratory muscles. The Respiratory System manages the exchange of oxygen and carbon dioxide between you and the environment.